Pōhakuloa Training Area (PTA) (lit. long stone) was first used during World War II as a Marine Corps artillery live-fire training area. During World War II, few permanent structures existed; when the Marines trained at PTA, they slept in tents. U.S. Marines from the 3rd Marine Division and the 5th Marine Division trained at PTA and on the western side of the Big Island in preparation for the Iwo Jima and Saipan campaigns. After the war, PTA fell under the control of the Hawai‘i Territorial Guard and in the mid-1950s the Army took over PTA. 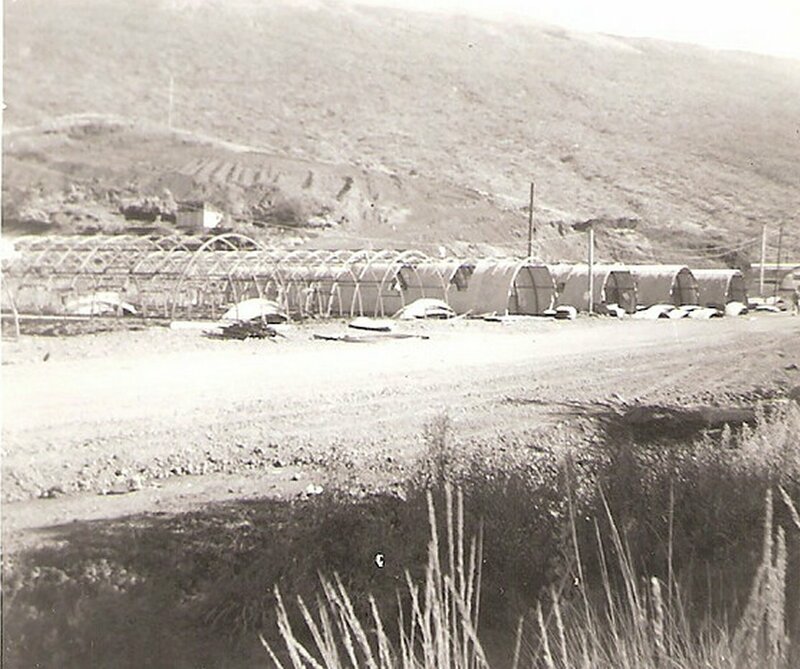 From 1955-58, Soldiers from the 65th Engineer Company built the distinctive Quonset huts, which are still in use. The training area is about midway between Hilo on the east coast and the Army landing site at Kawaihae Harbor on the west coast. PTA extends up the lower slopes of Mauna Kea to approximately 6,800-feet in elevation and to about 9,000-feet on Mauna Loa. The area is the largest Department of Defense (DOD) installation in Hawaiʻi. PTA's 130,000-acres include an 80-acre cantonment area (headquarters, housing and other facilities) with a fuel yard, fire and police departments and an airfield with a 3,700-foot runway. The installation can support up to 2,300-military personnel with rations, fuel and transportation. PTA's firing ranges allow units to conduct small-arms and crew-served weapons familiarization training and qualifications, as well as artillery and mortar live fire. Through the years, PTA’s ranges and training areas have helped Army, Navy, Air Force and Marine units maintain their combat readiness and prepare for war. Most recently, 25th Infantry Division units, Kaneohe-based Marines and Hawaii Army National Guard Soldiers prepared at PTA for combat operations in Iraq and Afghanistan. Today, PTA stands as the premier military training area in the Pacific region. Units from all U.S. military services, as well as allied militaries, train at PTA, because it offers realistic training opportunities not found elsewhere. With several new construction projects underway, PTA looks to support military training well into the future. One of the great untold stories is the attention to native plant restoration at PTA - from the low-tech nursery house and field plantings, to high-tech digital terrain monitoring (using airborne light detecting and ranging (LiDAR)) to define areas for plant restoration. Dryland forests are among the most threatened of all tropical forest ecosystems, largely because of the impact of grazing animals, invasive species, fire and land conversion. Only about 5 percent of Hawaii dryland forest habitats remain. PTA's Natural Resources Team consists of about 40 employees, who protect threatened and endangered species on the military property, grow and monitor plants, construct firebreaks and remove invasive species. More than 2,000-endangered and common native plants are annually replanted into the wild. Bird counters do visual checks for common and rare birds and also identify many by their songs. The most common native birds encountered are palila, nene, amakihi and apapane. In addition, the Army is fencing off areas to protect it from the damaging effects of goats, sheep and pigs (ungulates) to allow recovery of mamane-naio forest. Recovery of that forest may eventually lead to reintroduction of endangered palila to the Pōhakuloa plain. The Army is presently trying to get most of the fence-enclosed area cleared of unexploded ordnance so that public hunters can assist in ungulate removal. The image shows the initial construction of the PTA Quonset huts in 1956 (©-thecoys2.) In addition, I have included some other images of PTA in a folder of like name in the Photos section on my Facebook page.